Ahhh. There is absolutely nothing like the smell of fresh bread, hot from the oven. Add butter and I’m in heaven. Yet with so many of us on gluten-free diets because of gluten intolerance or celiac disease—and with some arguing that eating grain is literally killing us even if we’re not gluten-intolerant or celiac sufferers—well it seems that bread has been both refused and abused of late. And so today I write in defense of bread—as a worthy offering to Isis and Her Divine family and as a powerful symbol of transformation. Indeed, the offering tables of ancient Egypt fairly groaned beneath the weight of loaves of offered bread. In tomb paintings you can see them, baked into neat, conical or oval shapes and piled high upon the altars. “Thousands of loaves” were promised to Deities and deceased pharaohs. Excavations have shown that actual loaves of bread were among the grave goods of kings and commoners alike. In the Book of Coming Forth by Day, the deceased declares he will live on the bread of the Goddesses and Gods. As in so many places in the world, bread in ancient Egypt was a basic, even archetypal, food and the grain from which it was made, an essential, as well as symbolic, food crop. To the ancient Egyptians, a loaf of bread came to symbolize all types of food offerings and all good things. For Osiris’ part, like so many Gods, He is identified with the cycle of the living and dying grain. The Coffin Texts connect Osiris and grain with immortality: “I am Osiris . . . 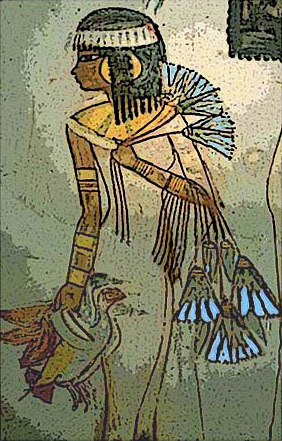 I live and grow as Neper [“Corn” or “Grain”], whom the august gods bring forth that I may cover Geb [the earth], whether I be alive or dead. I am barley, I am not destroyed.” The texts also tell us that the deceased, identified with Osiris as the Divine grain, nourishes the common people, makes the Gods Divine, and “spiritualizes” the spirits. Thus bread and grain are more than just bodily sustenance; they are spiritual sustenance as well. 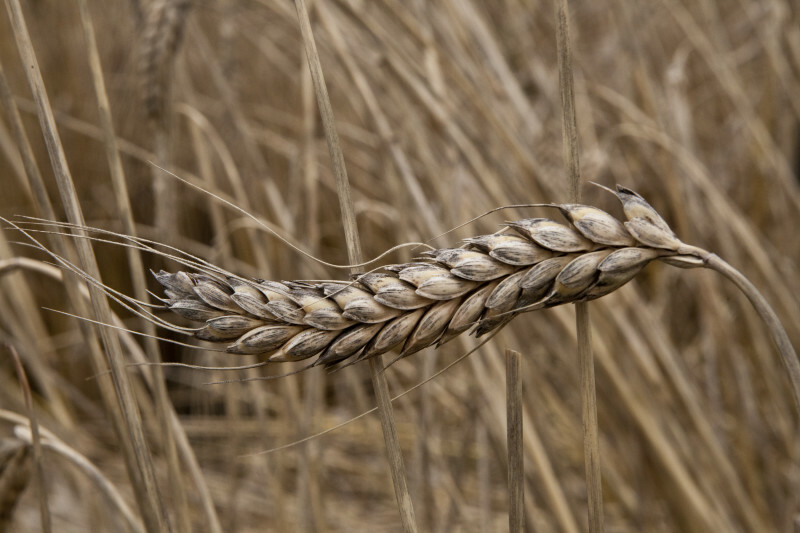 As a symbol of transformation and ongoing life, grain has magical properties. Some of the funerary texts have the deceased rubbing her body with barley and emmer wheat in order to partake of these magically transforming properties. A “corn Osiris” … perhaps molded like the larger Divine Bread of Mendes? 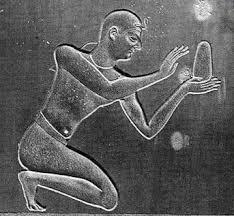 In several temples where important festivals of Osiris were held, the priests made a complex form of bread, called Divine Bread, that was molded in the shape of Osiris. (In fact, the ancient Egyptians were quite adept at using molds to bake bread in a variety of shapes and forms.) The Osirian Divine Bread was made from grain and a special paste consisting of ingredients such as Nile mud, dates, frankincense, fresh myrrh, 12 spices with magical properties, 24 precious gems, and water. 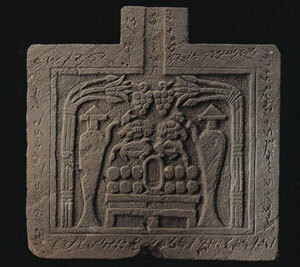 At Denderah, this Divine Bread was modeled into the shapes of the pieces of the body of Osiris and sent to the various cities in which Isis was said to have enshrined them. At Mendes (which is where, we must note, the phallus of Osiris was enshrined), a sacred marriage was part of the Osirian celebrations. 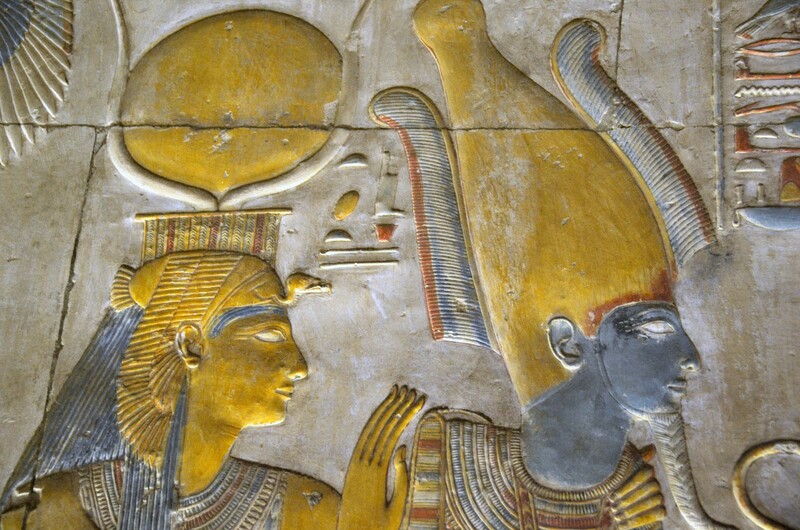 It took place between the Goddess Shontet, a form of Isis, and Osiris as the grain. In the Goddess’ holy of holies, Her sacred statue was unclothed and grain was strewn on a special bed before Her. 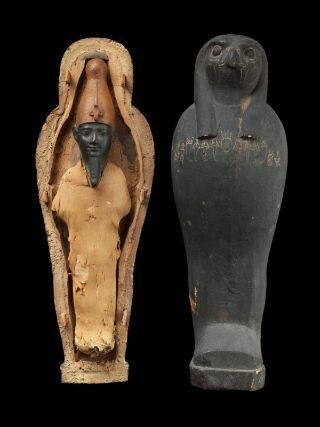 After allowing some time for the Goddess and God to unite, the grain was gathered up, then wrapped in cloth, watered, and used to model a full-body figure of Osiris Khenti-Amenti (“Osiris, Chief of the West,” that is, the Land of the Dead). Finally, Osiris the Divine Bread was buried with full ceremony, including a priestess who took the role of Isis to mourn Him and work the transforming magic of the Goddess. Isis is the Lady of Abundance Who gives us the bread of earthly life; and She is the Divine Baker Who makes the magical bread that gives us eternal life. She is the Goddess Who regenerates the Grain God as She guides the transformation of Her Beloved from the threshed grain into the ever-living Green God Osiris. She is the Goddess of Divine Bread Who feeds our bodies and souls and Her sacred bread is a pleasing offering to Isis, Goddess of Transformation. Aspects of IsisbreadDivine breadEgyptEgyptian magicEgyptian TemplesGoddessGoddess IsisGoddess worshipGrain GodGrain God OsirisIsisIsis worship todayLady of Bread and BeerOsirisWho is Isis? This post fills me with questions about how things smelled and tasted. After loading the offering tables with bread and wine, was this later consumed by devotees? Maybe just priests and priestesses? What did the bread made of emmer wheat taste like? Was it leavened somehow? What did the beer taste like? Is that sort of wheat available to grow it nowadays? A quick online search looks promising. Did they use butter like we do? Why was the lotus rhizome bread likely to be less palatable? Wanted, time travel (would also be scrutinizing fabrics and cut of clothing while there). This was a great post! Now I’m hungry for garlic bread!